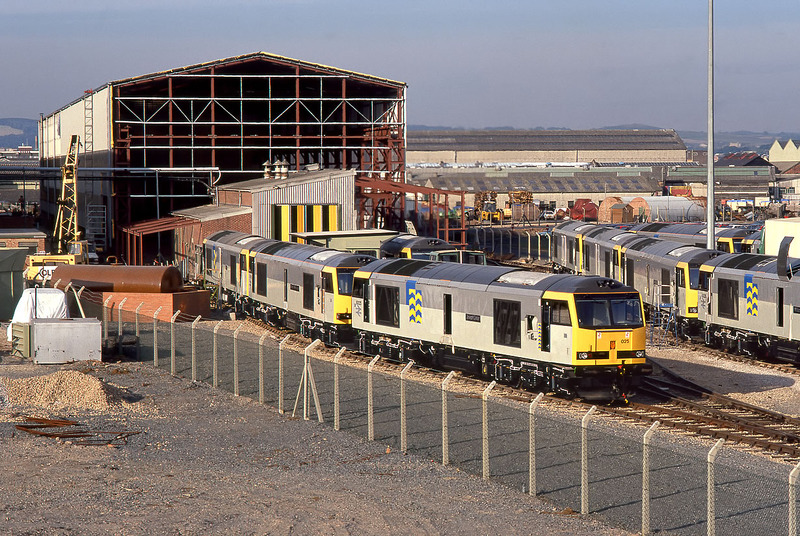 One tenth of the Class 60 fleet can be seen in various stages of construction in this view of the Brush Works at Loughborough taken on 11 August 1990. In the foreground, 60025 Joseph Lister is nearing completion, with 60033 Anthony Ashley Cooper & 60030 Cir Mhor behind. On the extreme right, with roof hatches open is 60026 William Caxton. The others are unfortunately unidentified.